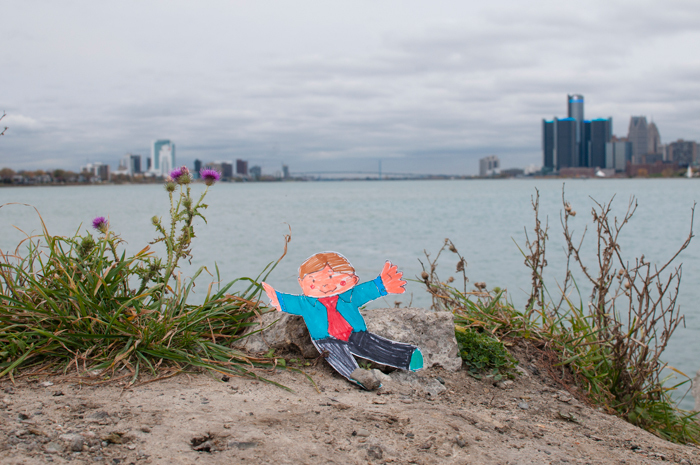 The kids' cousin in Vienna (who we visited earlier this year) is doing the Flat Stanley Project in her school, and sent us a Flat Stanley to show around Detroit and send back some pictures. First we went to the westernmost tip of Belle Isle to take a picture of the strait between the United States and Canada that gives the city its name. 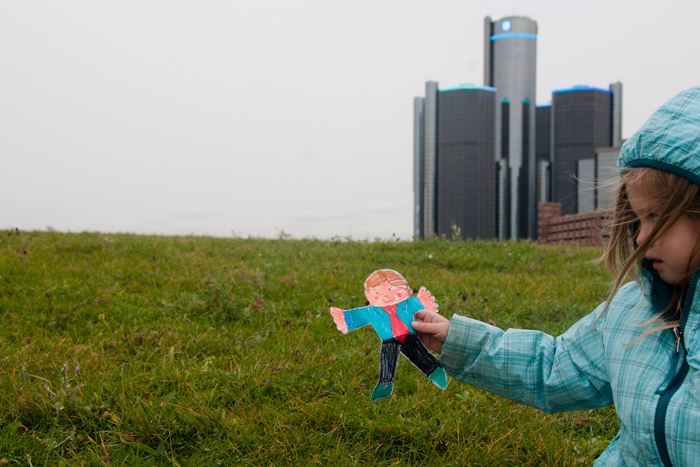 The we took Stanley to see the General Motors world headquarters at the Renaissance Center. 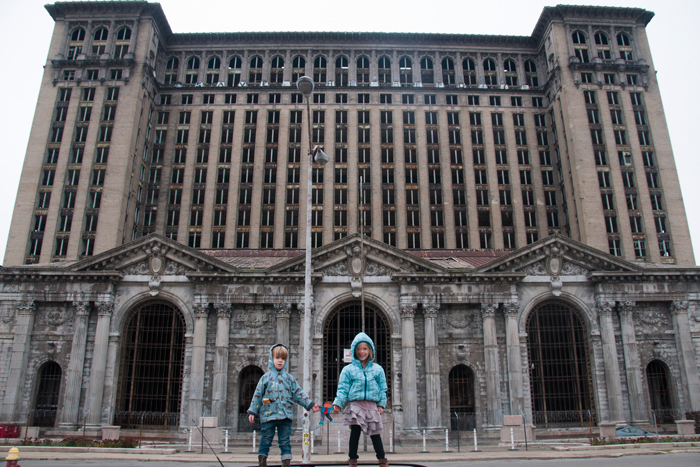 We figured we couldn't ignore what is fast becoming Detroit's number one tourist attraction. When we write the Austrians, I think we'll say, "Like Greece and Rome, Detroit has beautiful ruins. But unlike Greece and Rome, there are people still alive who were born before many of these buildings were built." It was fun to talk to the kids about what places we should share with their cousin, and what we should say about them. It's a great project, I think.